Home » Films » Legendary Band member, Levon Helm, to play Confederate dead in Burke’s Electric Mist. Legendary Band member, Levon Helm, to play Confederate dead in Burke’s Electric Mist. Legendary musician Levon Helm will play confederate General John Bell Hood in the big screen adaptation of James Lee Burke’s In the Electric Mist (with the Confederate). 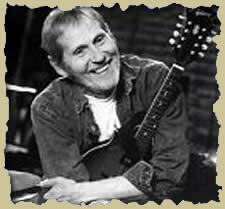 Helm is best known as a member of the Rock n Roll Hall of Famers The Band. As was previously mentioned here, Oscar winner Tommy Lee Jones is starring as detective Dave Robicheaux. In Electric Dead, Dave sees visions of the long dead John Bell Hood, a general of the Confederate Army. Also starring in the film is Ned Beatty (Homicide: Life on the Streets, Deliverance) as Twinky Lemoyne, a local business owner and investor in the movie that is filming in town. Robicheaux suspects Twinky of having ties with a local mobster that Dave suspects in the killing of some prostitutes. In Electric Mist recently started filming and is scheduled to be released on Dec 10th of this year. Note: A new, more complete rundown of the cast is available now. I have heard from a few different sources that John Goodman has replaced Ned Beatty. And I also heard a rumor that Jude Law is in the film…but that just came up today. I live in the area and work in New Iberia, LA, so it's very much the talk of the town these days! More and more I am liking the sound of this project. Helm was great in Coal Miner's Daughter as Lorretta Lynn's father, and I've really learned to appreciate Ned Beatty as an actor. Helm has done a number of small roles in the last ten years. He actually had a bit part of the Tommy Lee Jones directed The Three Burials of Melquiades Estrada. As a big fan of The Band, I am very interested to see how this turns out. Now THAT is cool. I don't know if Helm can act worth a damn, but it's cool anyway.